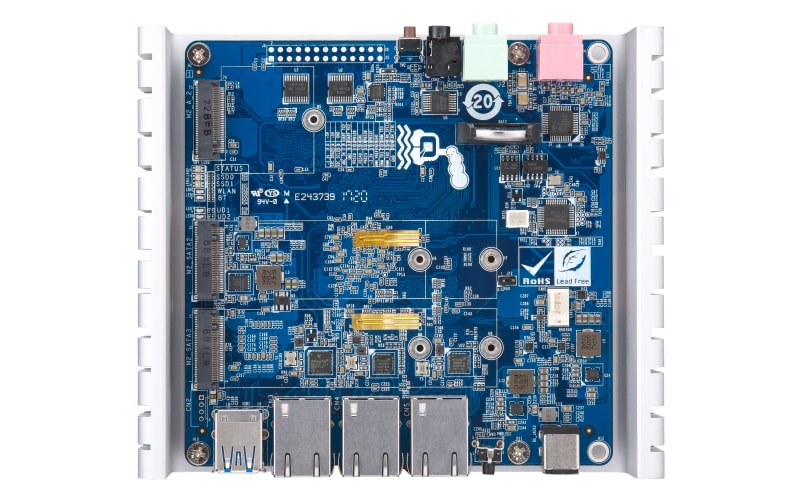 The QBoat Sunny is a dedicated single-board Internet of Things (IoT) mini server for IoT developers and provides high expandability for connecting many IoT devices. Featuring Container Station and QIoT Suite Lite, the QBoat Sunny allows you to seamlessly manage and monitor your IoT applications, devices, and data for a streamlined and highly efficient IoT development experience. In the era of IoT, the QBoat Sunny is the ark to ferry your IoT devices and applications, and act as a private and/or public server/gateway.